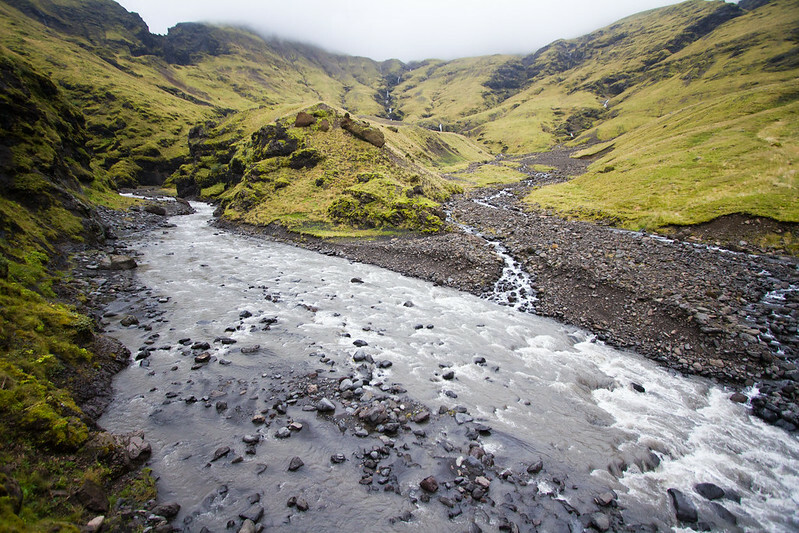 Nestled in the misty, deep grey and lush green Eyjafjallajökull valley, in south-western Iceland, Seljavallalaug is easily passed by, if you are not looking for it. 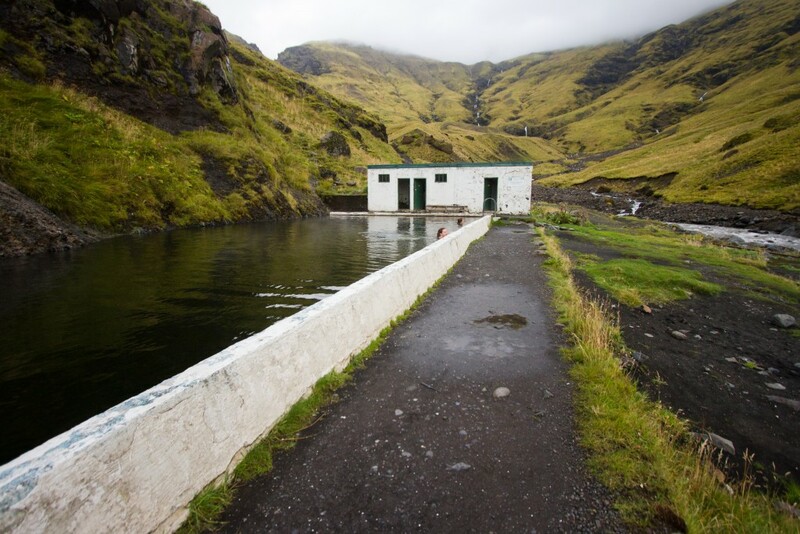 Set against the most incredible backdrop, and built right into the morphing, igneous landscape, Seljavallalaug, or Seljavellir pool, is the oldest still-standing swimming pool in all of Iceland. 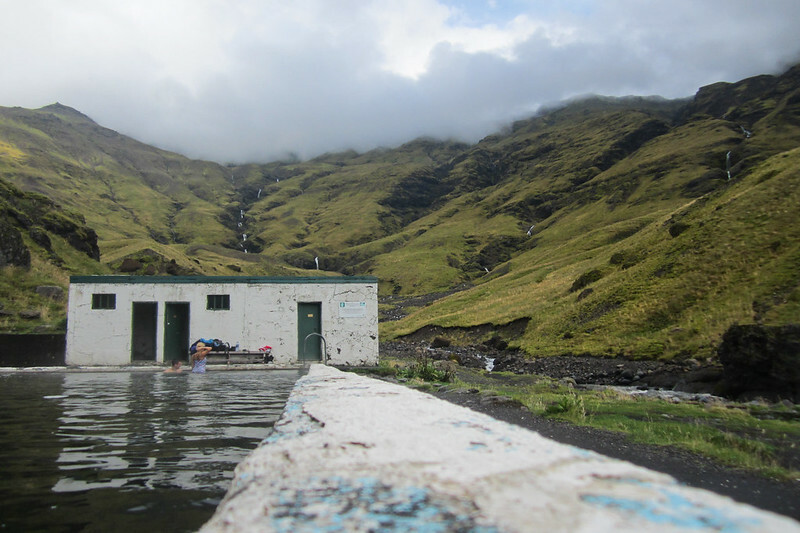 The pool was first constructed in 1923, by a team led by Bjorn Andrésson Berjaneskoti, in an effort to teach the local population how to swim. Though the majority of nearby residents made their living in the fishing industry, up until 1923, there had been no formal place for people to develop their swimming skills. 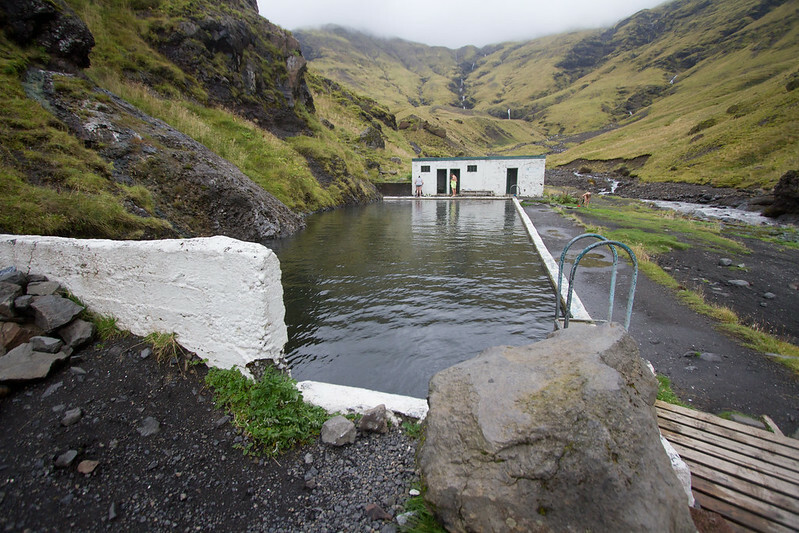 In modern Iceland, swimming training is a mandatory part of children’s education, and this trend began with the construction of facilities such as Seljavallalaug. 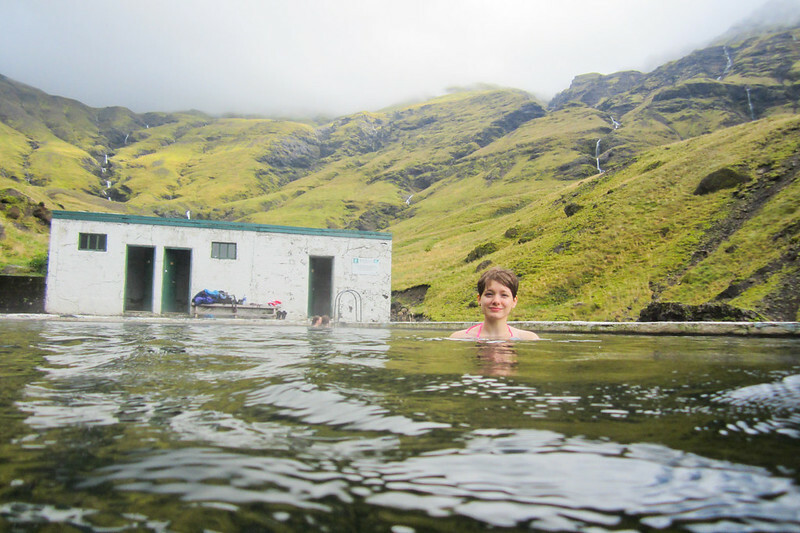 Here in the 21st century, though technically out-of-use, the protected pool is maintained by a small group of dedicated volunteers, and is perhaps one of Iceland’s most magical, hidden away, hotspots. Free to all who hike the short rocky trail up into the narrow valley to reach the 82 foot long pool, the pools water is warmed by a natural hot spring that dribbles down from the hillside and, utilized by a series of metal pipes, keeps the water temperature quite pleasant, even on the murkiest spring, summer, or late autumn days… providing you stay in the correct corner of the pool, next to the ladder, and take full advantage of the hot water currents before they disperse into the rest of the lukewarm water. 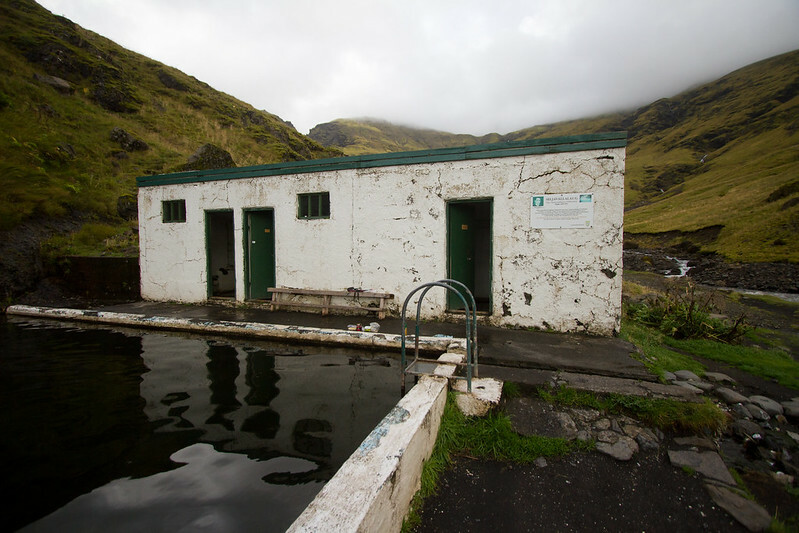 There are basic changing facilities found next to the pool, in the form of a small concrete building, with flaking paint and a number of coat hooks, separated into both male and female changing areas, however when Mike and I visited Seljavallalaug, we found these to be a little run-down – though in a charming sort of way, adding to the adventure of the place. 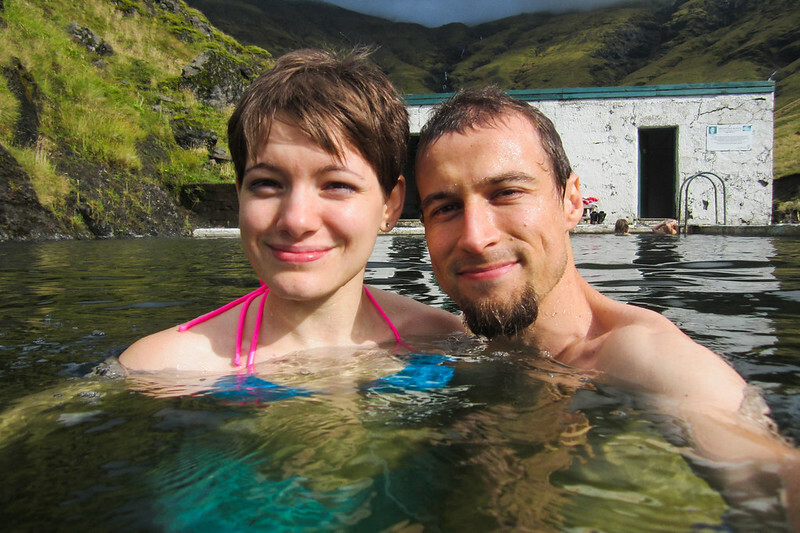 The pool itself is cleaned once yearly, and depending on when you arrive, you might find algae or perhaps even a little ash (a huge amount of effort was spent to restore the pool and clean out large amounts of ash after the infamous 2010 eruption of Eyjafjallajökull). This combination of rich natural minerals and materials is said to be extremely beneficial for the skin, and for general well-being. 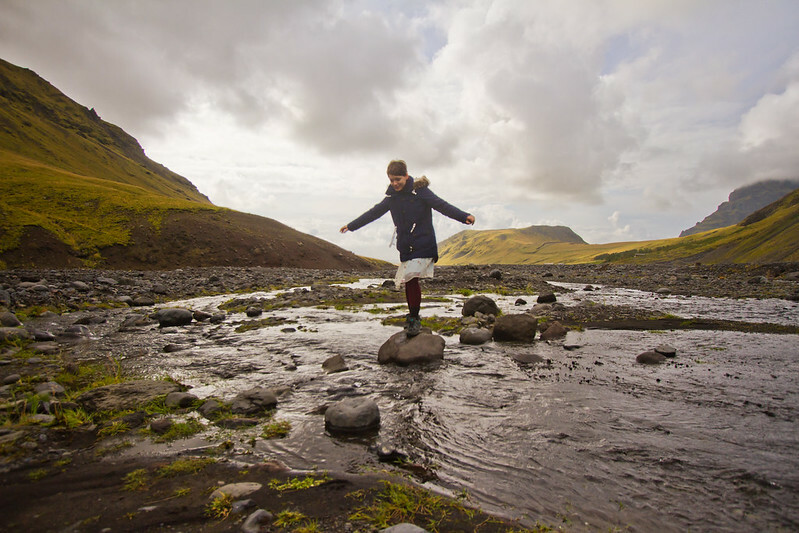 For sure, a swim in Seljavallalaug’s waters is certainly a restoratively peaceful experience – the valley around you is intensely alive, powerful, and geologically striking. When you arrive at the pool, and tentatively dip into the water, at first you become very aware of the silence around you, but as you begin to listen more carefully, you start to hear the sounds of this new and ever-changing landscape – the trickling of hot water into the pool, clouds of steam swirling with the mist that more likely than not will surround you as you swim, and you can hear the distant rush of the tiny waterfalls further up the valley, and the bubbling of the icy stream you’ve just crossed. 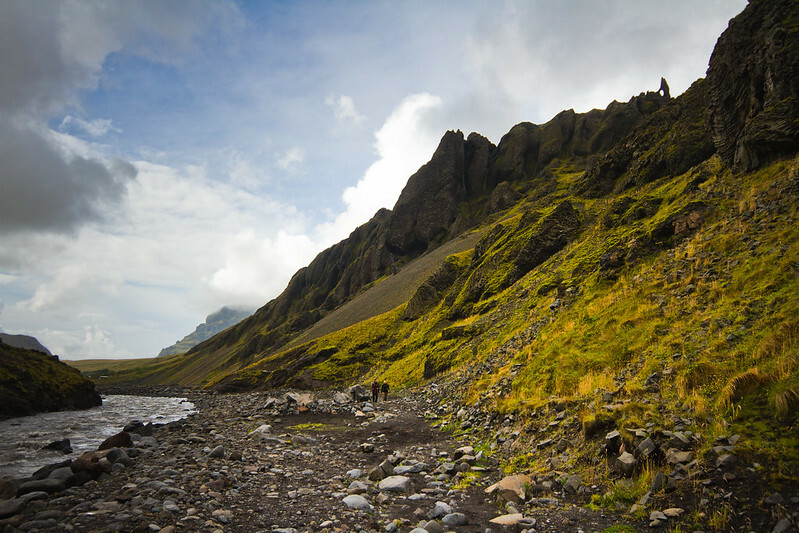 In an attempt to keep warm, you submerge yourself chin deep in the water, and all around you are looming mountains.